Sabe Double Barrel Premium Sake is a groundbreaking east meets west sake with a noticeably smooth finish and crisp fruity taste ideal for sipping yet perfect for cocktails. 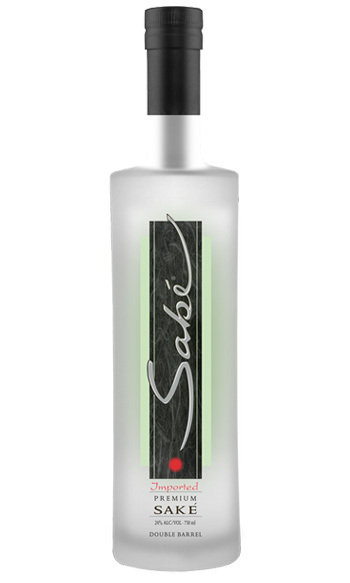 Bottled at 24% ABV (48 proof), Sabe is handcrafted to enjoy with sushi, tuna tartar, raw oysters or any fresh seafood. Whether served chilled, on the rocks or in your favorite cocktail, you ‘ll find that Sabe Double Barrel Premium Sake refreshes the palate and enhances the culinary experience with every bite. Robust, full-bodied sake. Slightly sweet aromas permeate the glass. Layered flavors of melon and tropical fruit. Serve chilled by the glass with sashimi. Better yet, mix in cocktails.